Upon installation of Ubuntu Daily build 13.10. Installation of dropbox and Ubuntu One not showing indicators in task bar. After installation and syncing, expected app-indicators to appear. No indicators appeared after initial sync. To change the source package that this bug is filed about visit https://bugs.launchpad.net/ubuntu/+bug/1211066/+editstatus and add the package name in the text box next to the word Package. As stated in bug #1211046 the missing U1 Sync indicator is fixed albeit it's missing an image next to the Ubuntu One on/off switch (in the indicator's menu). Dropbox is running but there's no Dropbox indicator in the top bar. Also, there's no U1 or Dropbox integration in Nautilus context menu, don't know if it's related. The U1 issue first described in bug #1211046 has been fixed, but the missing Dropbox indicator covered by this bug is still an issue. So the status as being duplicate should be removed. Dropbox is running but no Dropbox indicator in the top bar for me either. Same problem with the copy.com app (no top-bar indicator), which used to work fine in 13.04. 2. Log out, and then log back in. * The above does not work real well with the copy.com, but does allow dropbox to function properly. Tony, your workaround in #7 works perfectly. 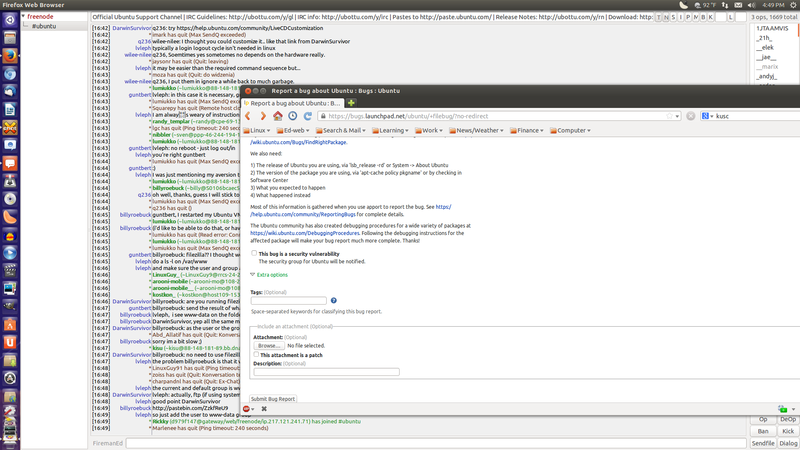 I spent all of today looking for a solution, and wven signed up for Ubuntu One to see if the Sync menu would help. Nothing did, till this. Now to uninstall lots of other stuff I installed today (like gnome-tweak-tool, unitu-tweak-tool, etc). Workaround from #7 works for me too. We can't do anything for the copy.com client. That software isn't in the Ubuntu archive, and we can't do anything particular to make that software works fine. It's a job for the copy.com developers, not for the Ubuntu ones. The copy indicator, will show if you create a folder in your home directory named (.icons) after doing so stop the copy process and then click on the copyagent binary logout and then log back in the copy indicators should show up again, the only downside is that the only thing you can see in the drop down menu is your email address and visit copy.com.